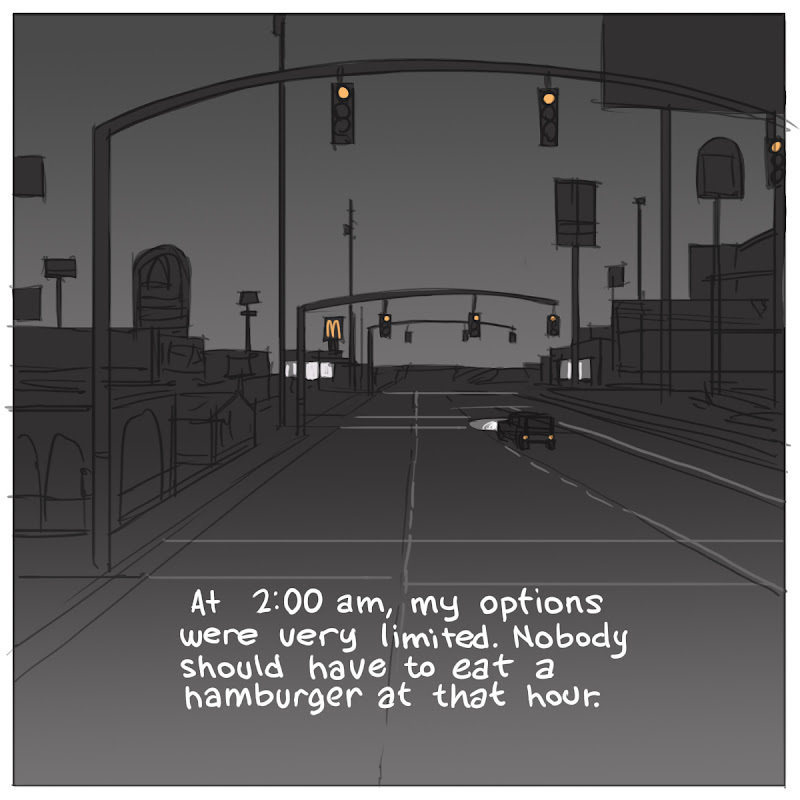 You don't HAVE to eat a hamburger at 2am, you GET to eat a hamburger at 2am. What time is it? It's hamburger o'clock! I love the noir tone of the narration for this. (Sorry I haven't commented in awhile--got busy with costumes for a production of AMADEUS and trying to get the October and November programs together for the library). Congrats on the textbook gig! CALAMITY JACK takes home the Utah Book Award!